On 1 June 2008, Prime Minister Keith Mitchell announced that elections would be held on 8 July. They were constitutionally due in January 2009 but were widely expected to be called in late 2008. On 3 June the parliament was dissolved paving the way for the seventh elections since the country gained independence from Britain in 1974. The country enjoys a relatively stable economy thanks to tourism and offshore banking although poverty remains a significant problem. 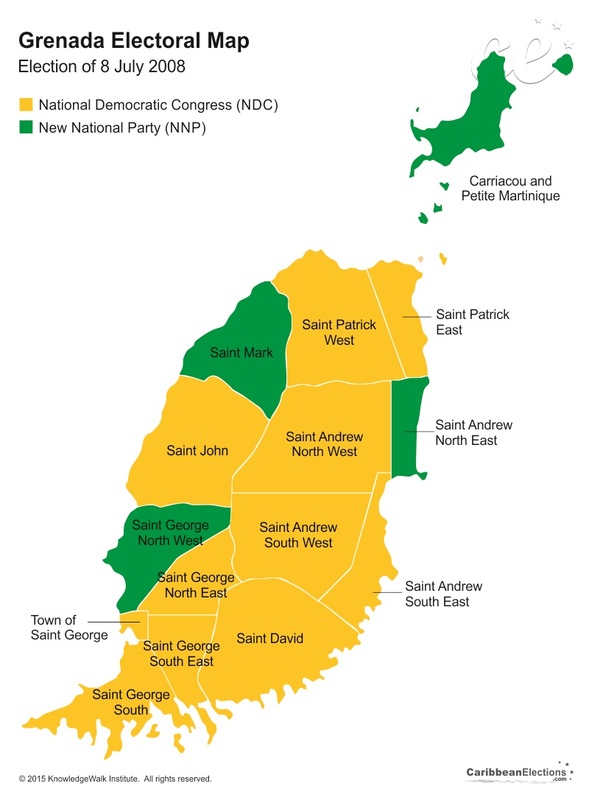 In the previous elections held in November 2003 Prime Minister Mitchell's New National Party (NNP) had won 8 of the 15 seats in the House of Representatives giving him a third consecutive term. 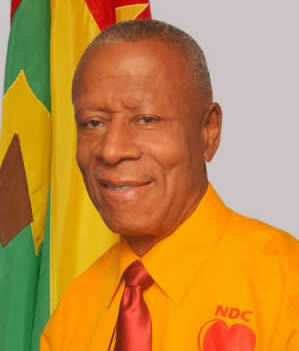 The main opposition the National Democratic Congress (NDC) led by Mr. Tillman Thomas took the remainder. 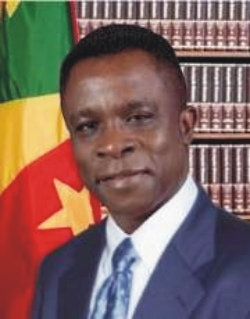 Prior to the 2008 elections Prime Minister Mitchell was dogged by allegations dating back to 2002 that he had received half a million US dollars in payment for appointing Eric Resteiner - a German national and fugitive from US justice where he faced corruption charges - as Grenada's ambassador-at-large. In May 2008 a Commission of Inquiry cleared the Prime Minister of these allegations. 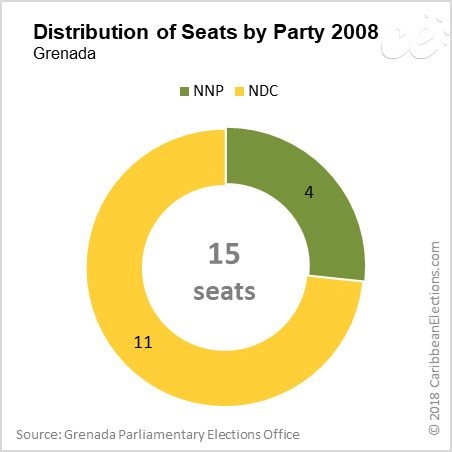 As in previous elections 2008 saw a duel between the NNP and NDC which both fielded candidates in all 15 of Grenada's electoral districts. The NNP promised to reduce the cost of living by abolishing taxes on basic products such as food and text books. It also pledged to build and repair 1 000 homes a year and provide a low-income housing programme for 5 000 families over the next five years. Other proposed measures included combating white-collar corruption by establishing a special anti-corruption unit within the police force. 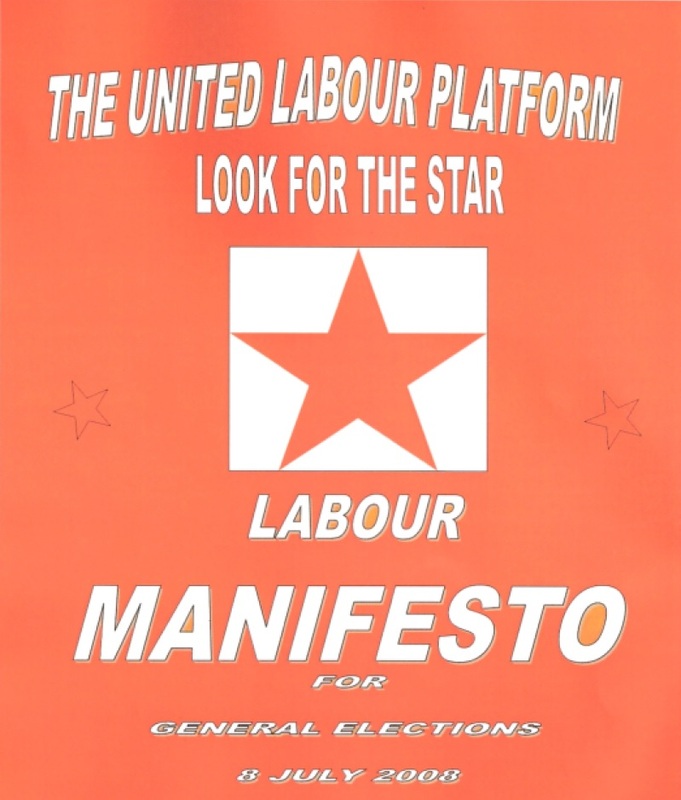 In 2008, the NDC campaigned on a ―Wind of Change‖ platform, emphasizing the need its members perceived for a new style of governance and different spending priorities. 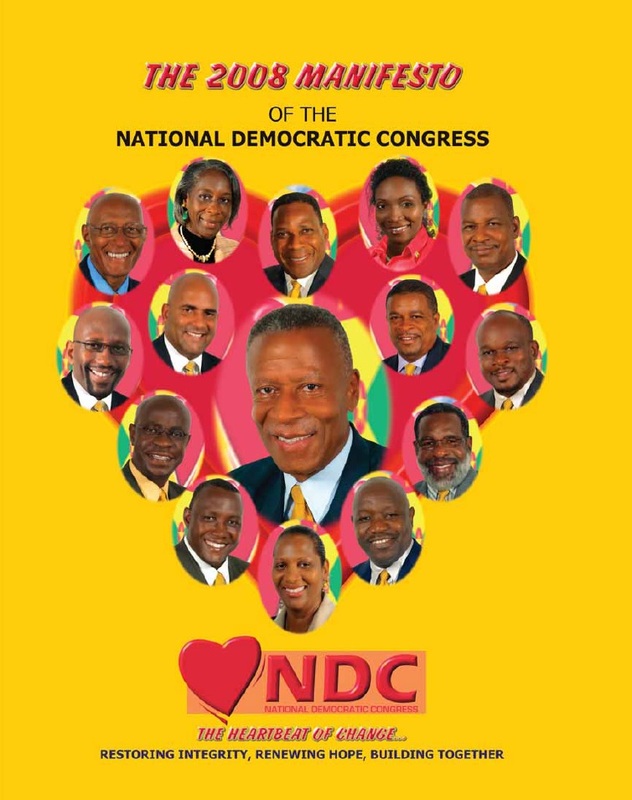 Its slogans, ―Vote NDC for love of country‖ and ―Vote NDC on Liberation Day‖ reflected this agenda. 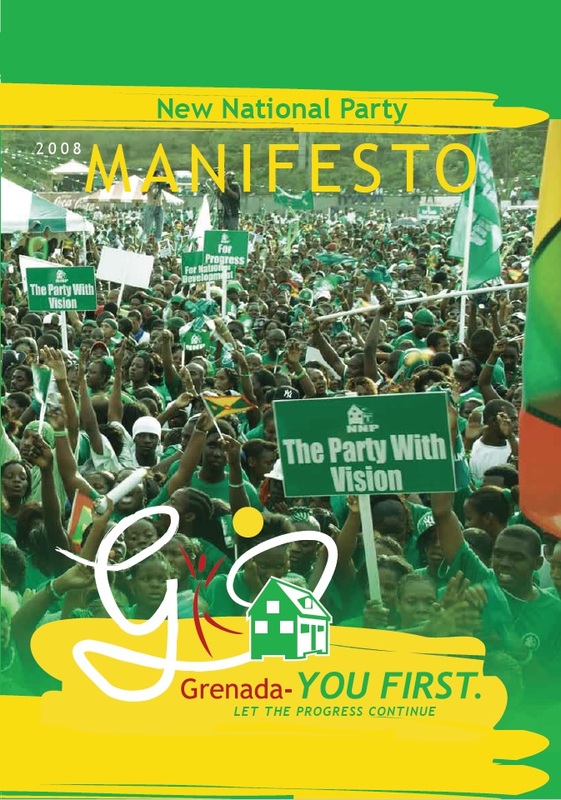 In 2008, the NNP campaigned with the slogan ‗Let the Progress Continue‘, emphasizing the importance of the economy and of continued investment and development. 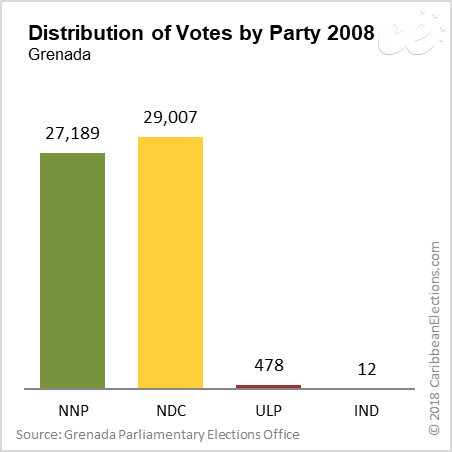 The NDC leader Mr. Thomas argued that only his party could bring about the change that Grenadians yearned. He criticized the NNP for not providing adequate housing welfare or education. He promised to better manage the economy create jobs and lower the cost of living. The NDC criticized the NNP government for failing to comply with the conditions for receiving financial aid under the Poverty Reduction and Growth Facility (PRGF) of the International Monetary Fund (IMF). In 2006 the country had received US$1.6 million of its US$16 million entitlement before the programme was suspended. 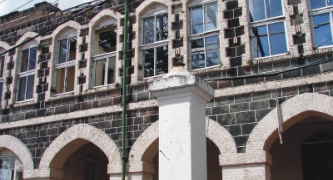 The Grenada United Labour Party (GULP) led by former Prime Minister Eric Matthew Gairy and the People's Labour Movement (PLM) led by former Attorney General Francis Alexis formed a coalition (GULP-PLM) and fielded 14 candidates. 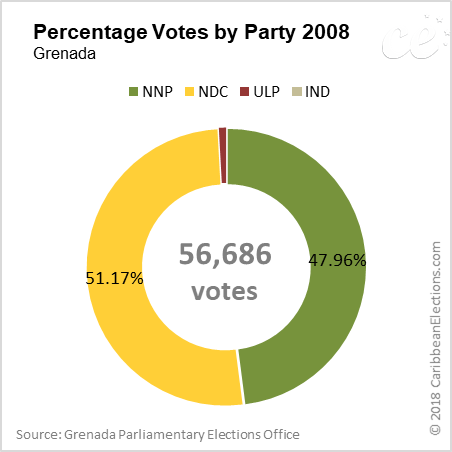 Both parties had participated in the 2003 elections but had not won seats. Former opposition leader Michael Baptiste (GULP) turned down the coalition's leadership position and publicly backed the NDC arguing that the GULP should resolve its internal problems before participating in the elections. He nonetheless remained a GULP member and pledged to "rebuild" the party after the elections. Both the NNP and NDC accused each other of perpetrating violence. Candidates complained of having received death threats or being harassed. On 4 June NDC leader Mr. Thomas asked the Organization of American States (OAS) to cancel a planned mission to the country by Assistant Secretary General Albert Ramdin who the NDC alleged had close ties with the NNP. The NNP government unsuccessfully petitioned the courts several times to disqualify from the elections the NDC General Secretary Mr. David Peter on grounds that he was a Canadian citizen. 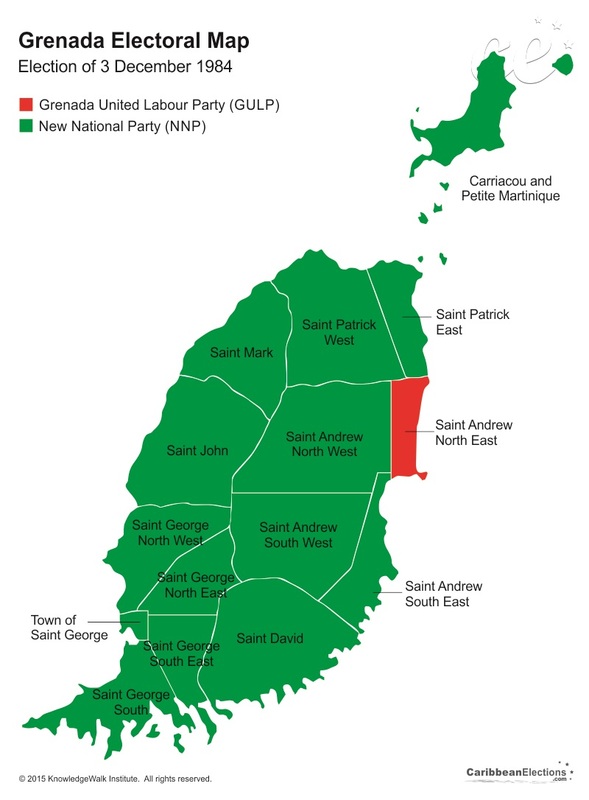 A poll published by the Caribbean Development Research Services (CADRES) in late June indicated a close fight between the NNP and NDC. 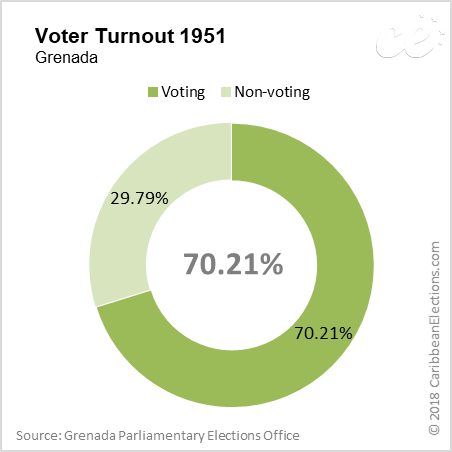 Other opinion polls suggested a large turnout might be detrimental to the NNP. A review of voter rolls by the Elections and Boundaries Commission prior to the elections showed that the number of registered voters had dropped drastically from over 82 000 in the 2003 elections to 67 000 in 2008 (in a country of 90 000 inhabitants). 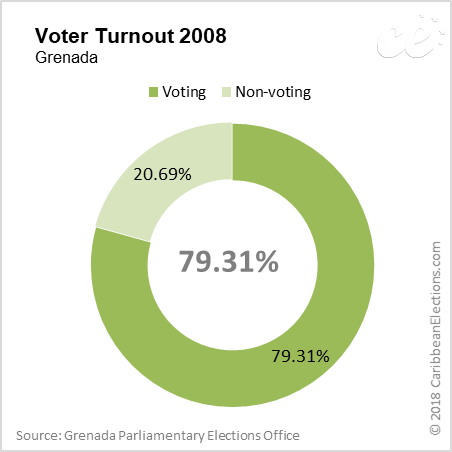 On 8 July 79.30 per cent of registered voters turned out at the polls. The OAS (which sent 36 observers led by Mr. Ramdin) and the Caribbean Community (CARICOM) praised the high turnout and orderly election process. The final results gave victory to the opposition NDC which took 11 of the 15 seats. The NNP took the remainder. Two women were elected (one from each party). 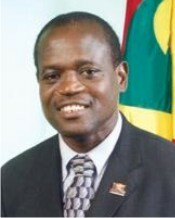 On 9 July Mr. Thomas was sworn in as the new Prime Minister. His cabinet members were sworn in on 14 July. On 20 August the newly elected members to the House of Representatives were sworn in alongside 13 members appointed to the Senate. 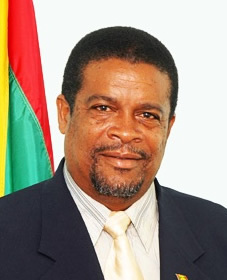 The House elected Mr. George James McGuire (NDC) as its new Speaker. Prime Minister Thomas appointed Ms. Joan Purcell as Senate President.